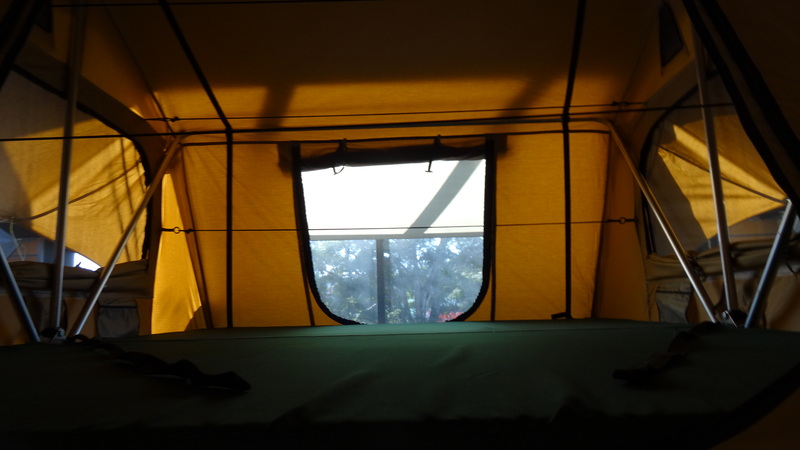 Roof top tents are a very simple, quick and easy way to go camping, and particularly if you want to take your boat, trailer, or jet ski with you. 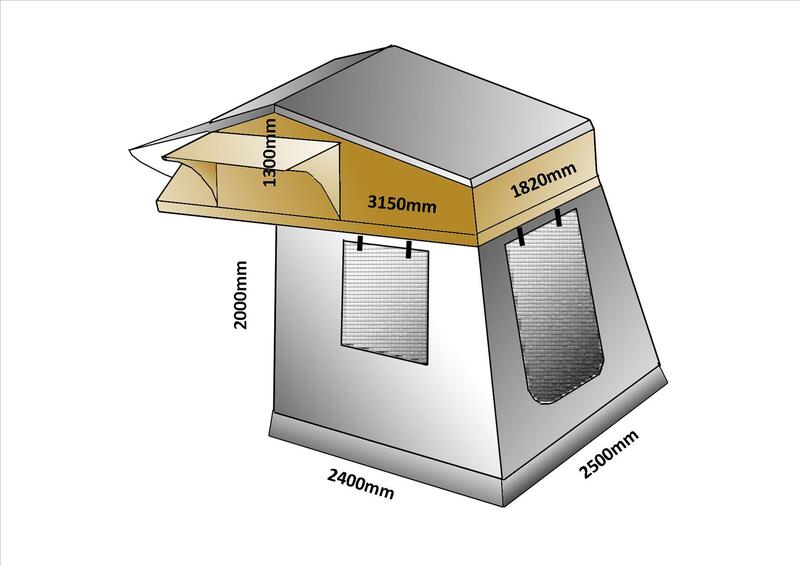 This new design of Roof top tent can be easily fitted to most vehicle roof racks or roof bars without the necessity to drill or modify. This new Austrack model has many new features and attaches to your vehicle utilising a track and clamp system. MATERIAL  280gsm Rip stop cotton canvas, double stitched throughout with double stitched folded seams for added strength. Wax coated canvas, that is extremely waterproof with a mould and mildew treatment. 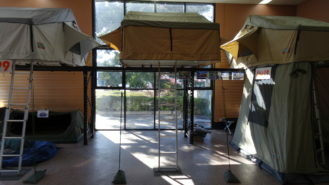 SIZE  Tent (folded out) 3150mm x 1820mm x 1300mm high Tent (folded up on vehicle) 1220mm x 1820mm x 400mm high. BASE  Weatherproof aluminium clad folding base, 22mm thick with reinforced surround, hinged in the centre. All removable parts are stainless steel or aluminium. 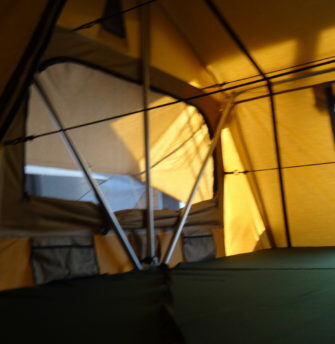 TENT FLY  Uniquely designed wrap around removable & adjustable, made from oxford polyester, 100% waterproof, protects the canvas in a storm, and from sap, bird & possum droppings etc. MESH WINDOWS & DOORS  All windows and doors are manufactured from M3 micromesh/midgemesh, (not mossie mesh), vital for bug protection in a tropical or coastal climate. 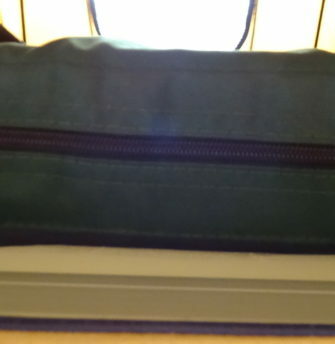 The mesh windows can also be zipped open & have double zips. WINDOW COVERS  Has zip open internal closing window covers as well as a zip open external window cover. No need to go outside to close up if adverse weather. 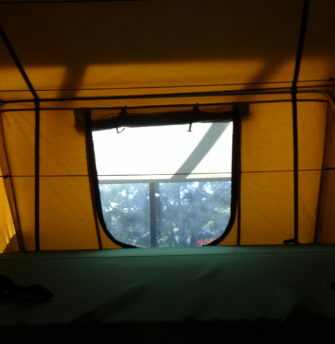 External windows have awnings for protection from the sun or rain. All windows & doors have toggle tie backs. 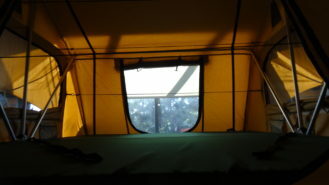 access your vehicle through either the rear door or side door (depending whether rear or side mounted tent). 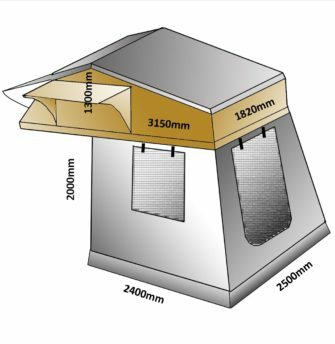 As an option you can have a 150mm extension piece which zips on the base of the annex walls to allow fitting to vehicles with additional height, such as Patrols or Land Cruisers with lift kits or MT tyres etc. 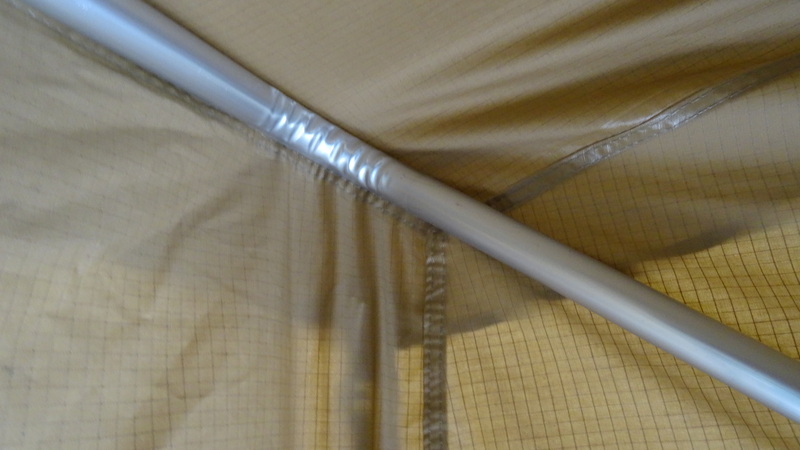 ANNEX FLOOR  Very heavy duty and tough PVC, same material as travel cover. Stretches rather than tears. MATTRESS  75mm high density foam mattress with zip off cover for washing. 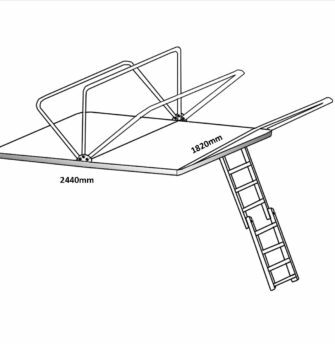 LADDER  Very strong telescopic aluminium with 40mm treads for comfort in bare feet. POLES  All internal tent poles are 22mm aluminium. 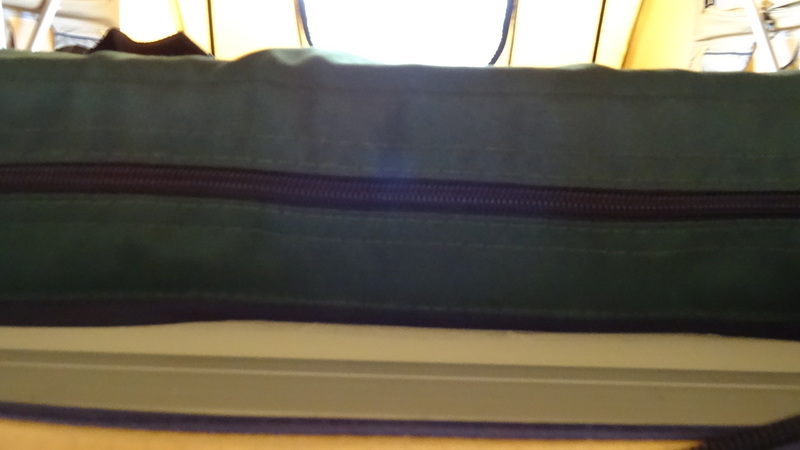 TRAVEL COVER  Heavy duty waterproof PVC. UV treated complete with quality zips. 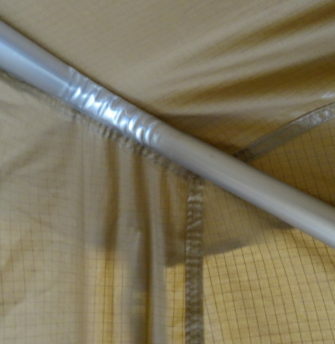 The base of the cover is fitted into aluminium sail track (annex rail) which protects the tent from dust & water. Complete with tie down straps. 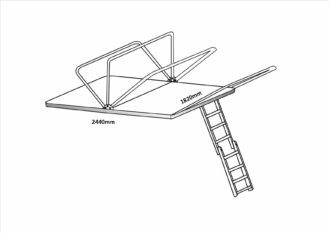 MOUNTING  Comes complete with all mounting hardware, a set of spanners, & instructions. Fitting advice available. We have studied many rooftop tents available on the market today, both here and overseas. We looked at the various features from design, materials, strength, and suitability to the various climates and conditions found throughout Australia. A culmination of our research led to the design and manufacture of this new Austrack model. 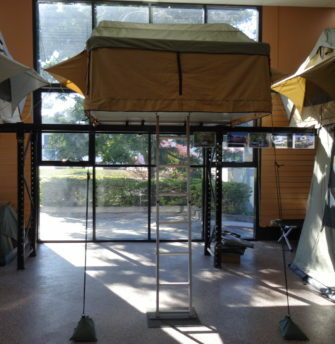 This new design of Rooftop tent can be easily fitted to most vehicle roof racks or roof bars without the necessity to drill or modify. This new Austrackmodel has many new features and attaches to your vehicle utilisng a track and clamp system. They are a very simple, quick and easy way to go camping, and particularly if you want to take your boat, trailer, or jet ski etc with you. Over at Fraser Island (opposite Hervey Bay) they are proving very popular due to the Dingo population, and off course in North Queensland and the Territory for safe camping in crocodile infested areas, and lets not forget those inquisitive goannas that seem to turn up at most camp sites. They are certainly worth their weight in gold if camping in areas subject to flooding. 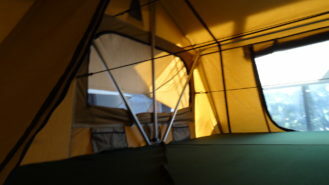 We have supplied our roof top tents to several people on the move, where there is a necessity for quick stopovers, a night or two at a friends or families place, a quick fishing trip, or travelling long distances without the high cost of paying for accommodation. In around five minutes you can be set up. 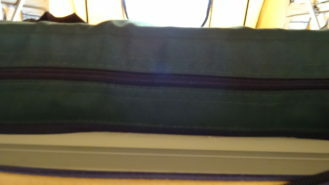 Your bedding, pegs, guy ropes etc all fit under the exterior travel cover. Theres nothing relating to setting up and sleeping that needs to be kept in your vehicle, allowing more storage space for other camping gear. 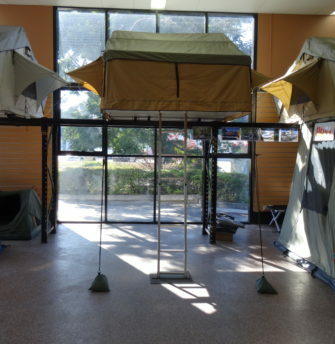 You can choose to have the tent folding out to the rear or either side of your vehicle. You can also mount above a box trailer, boat or Jet Ski trailer. At the back of the annex walls there is a zip open panel to enable you to open your rear or side door (depending on how the tent is fitted) to access your belongings. 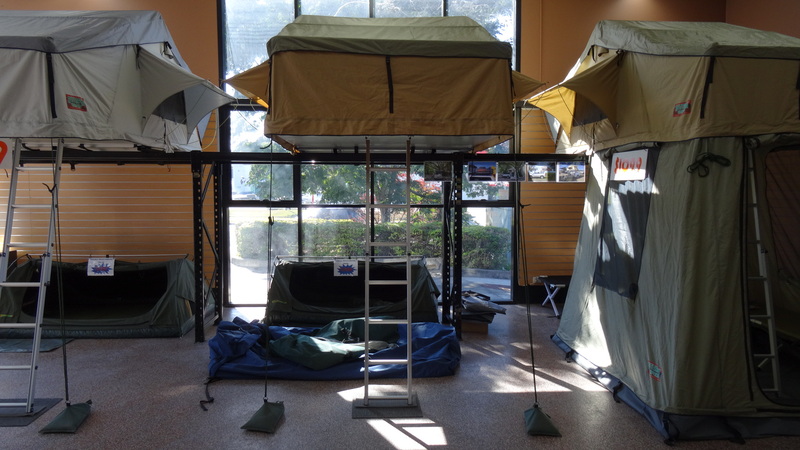 This is a top quality roof top tent, and is comparable to all of our canvas products representing excellent value for money. 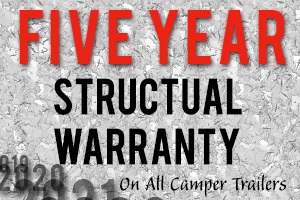 We offer a 12 months no fuss warranty on all our canvas products. We can offer excellent rates for delivery to all corners of Australia. If you have any questions, even suggestions, then please do not hesitate to contact us. 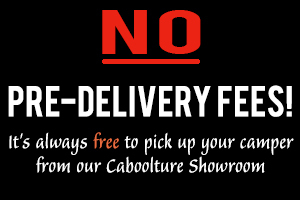 If the opportunity arises, please call in at our Caboolture premises where we have one set up on display & also one on a vehicle. 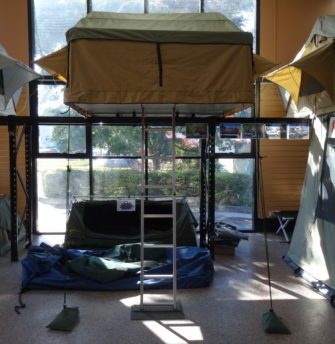 We have workshop facilities & can even supply roof bars to mount your tent on to, & then fit it for you. 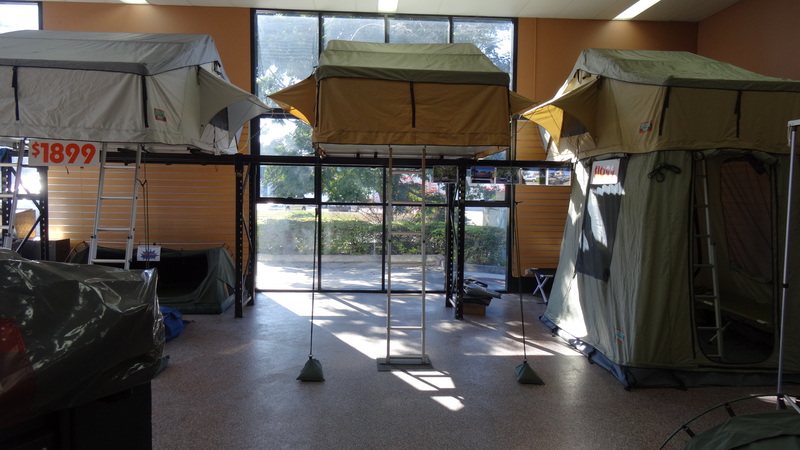 We can deliver your new Rooftop Tent to you to most capital cities in Australia and northern Queensland. Check out our Events page to see if we are coming to a town near you for one of the many camping expos we attend each year. Also check our Distributors page to see if we have a local dealer in your area. NB – These prices are a rough guide only. Please contact us for a quote or for more information.